Young Scooter always keeps the streets on lock with every single project he drops. The rapper's latest project, Trippple Cross was released earlier in the year. The interesting part of the project was that aside from Youngboy Never Broke Again, Future and Young Thug the only other collaborators on the project and they were heavily featured. 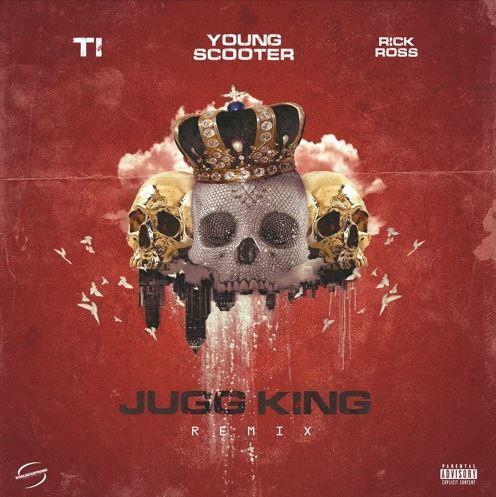 The closing track, "Jugg King" was initially added as a bonus track but today, Scooter comes through with the official remix featuring two OG's from the South. Young Scooter's "Jugg King" was bumping heavy through the summer but today, he elevates the track to new heights with an official remix featuring none other than T.I. and Rick Ross. The track already felt like a track that would fit both artists vibes perfectly and they deliver on the remix. Rozay holds down the first verse on the track before Scooter comes through on the hook. T.I. comes in on the second verse and delivers one of his hardest verses of recent times. Aside from his recent release of the "Jugg King" remix, Young Scooter had a stand out moment on Future's latest album as the only guest feature for the song, "Doh Doh." We're hoping we get more Young Scooter before the end of the year.